Where are you at with your Christmas preparations so far? To be honest, I’m personally having an extremely hard time getting into the spirit this year; If I had my way, I’d spend Christmas day all wrapped up in a blanket, watching movies and eating pizza. Yeah, not very Christmas-like, I know! I guess it’s just the perspective of spending yet another Christmas alone that’s to blame… maybe it’s about time I had a man in my life! But hey, man or no man, Christmas WILL happen, and I figured I think it’s time I started planning if I was hoping to be ready on time for the big day. 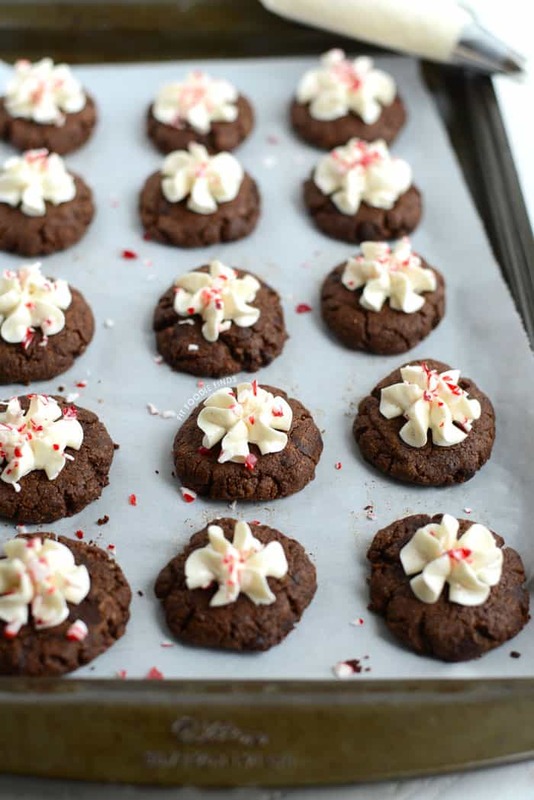 And I can’t think of anything better than cookies and chocolate to get me in a festive mood! 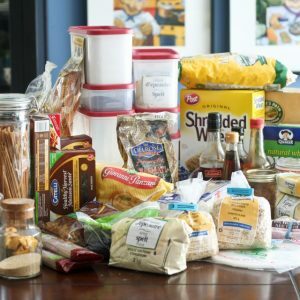 So I decided to once again turn to my best friend the Internet for ideas, and thought that, while I was at it, I might as well make a list of serious contenders and share it with you… Only problem is, I ended up finding so many that now I can’t decide which ones I want to make. Think I could get away with an “all treats” menu on Christmas this year? 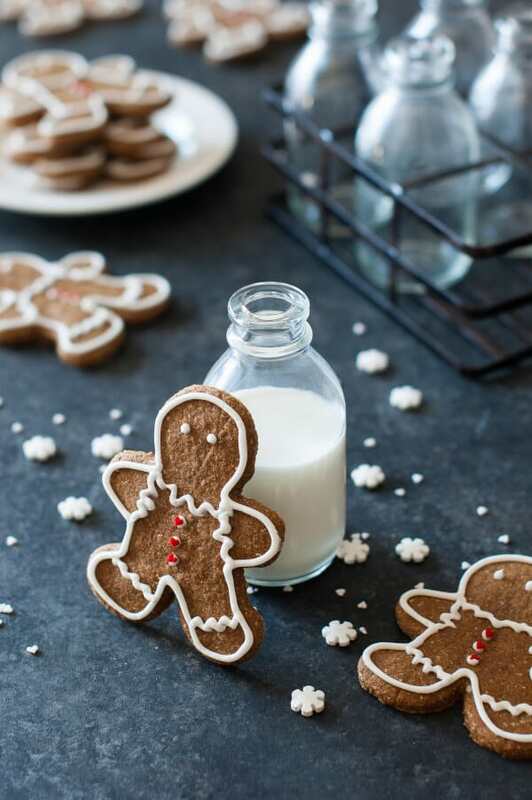 Paleo, Gluten Free, Clean Eating, Dairy Free and Vegan, these Gingerbread Men are so darn cute, they sit right at top of my list.. How could anyone resist biting into one of those tasty boys? 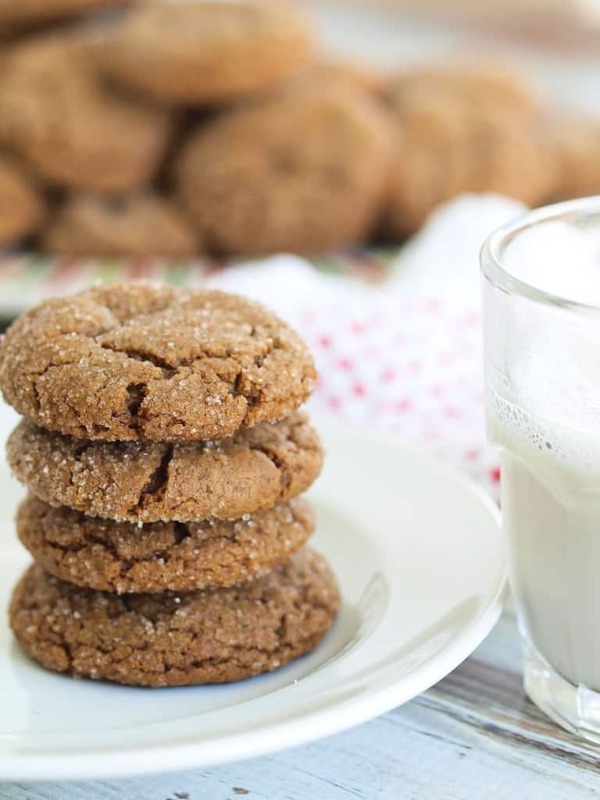 These grain-free gingersnaps are apparently extremely similar to traditional gingersnap cookies made with white flour and have the perfect crunch to go along with the perfect flavor. I’m highly tempted! 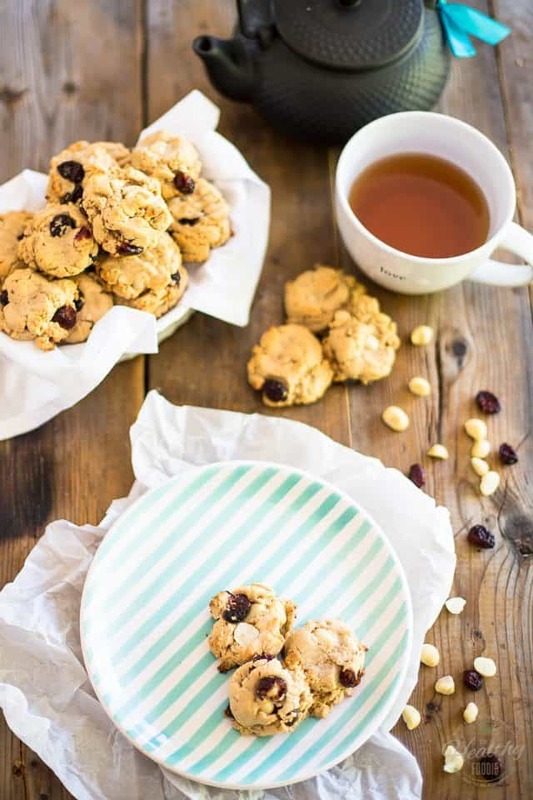 These shortbread cookies are said to be the perfect balance of crispy and soft, completely grain-free, sweetened only with honey, packed with pears, cranberries, and pistachios and over-the-top delicious. And I’m all: yes please! HA! 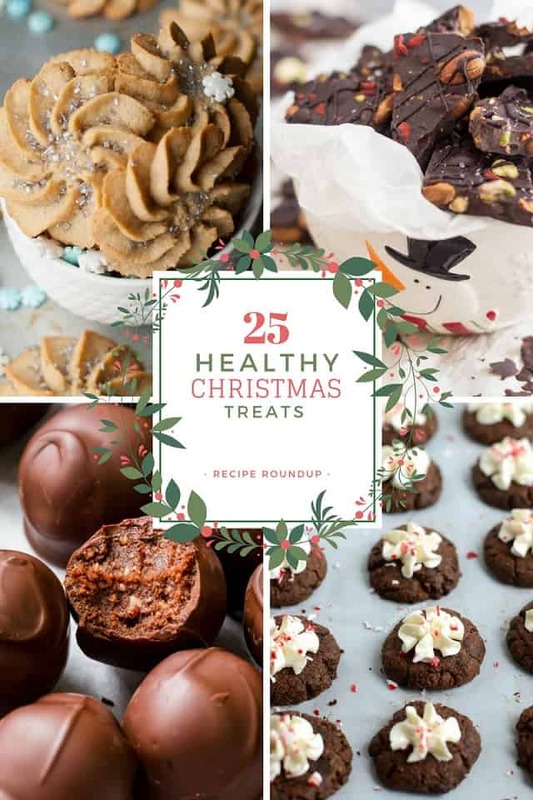 This one is like the perfect Chocolate Chip Cookie to make for Santa… because you know, Santa needs to be mindful of his health, too! 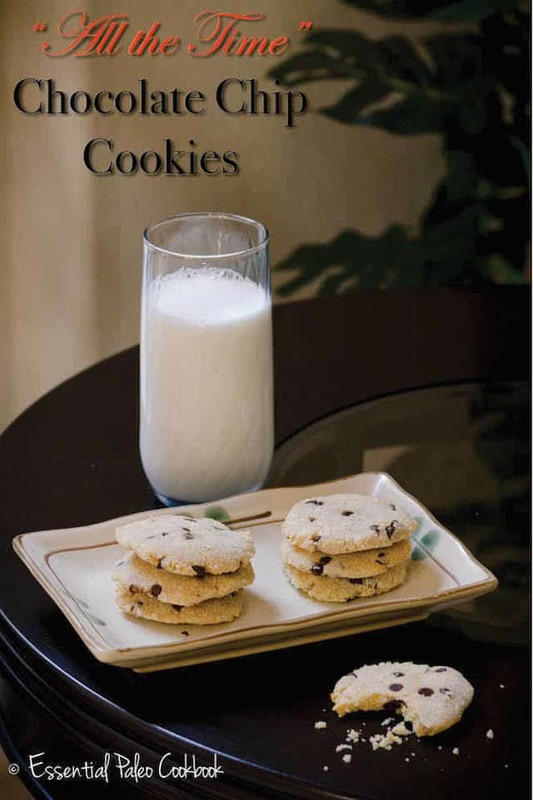 One of my own creations… I wouldn’t mind whipping up a batch of those! 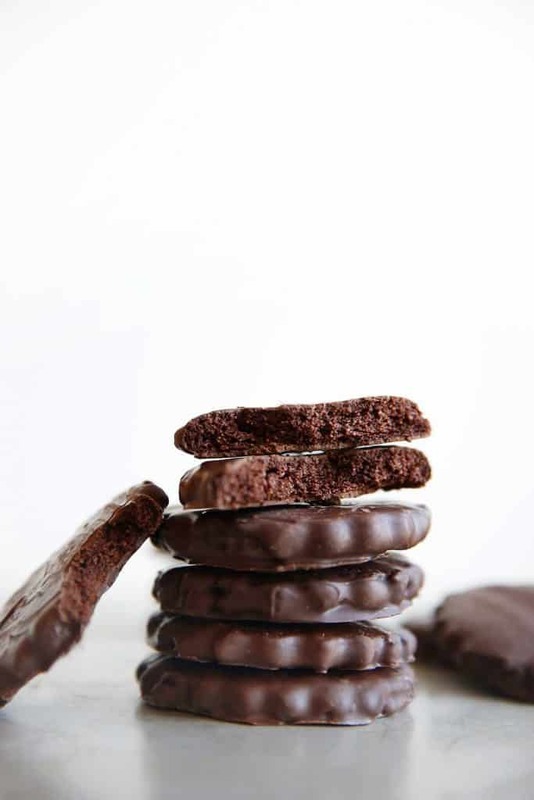 Made with homemade, honey sweetened chocolate chunks, these paleo cookies are chunky, tasty, dense but light and intensely chocolaty… just the way a good shortbread cookie should be! 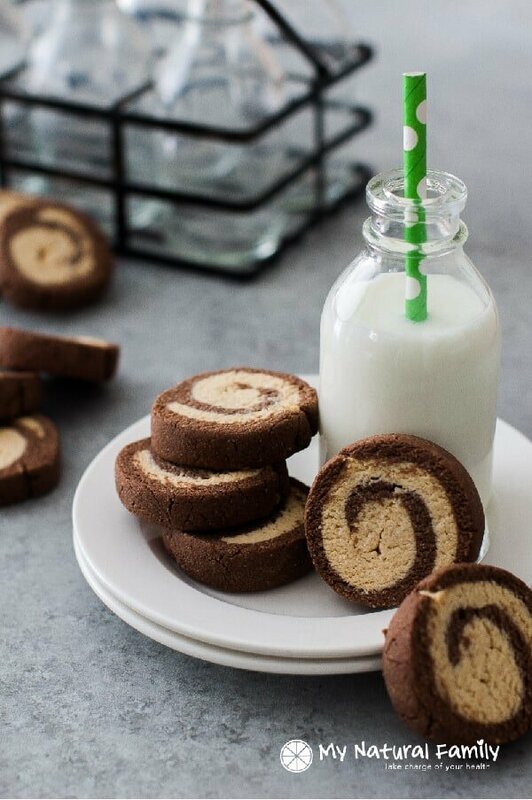 These super pretty swirl sugar cookies combine chocolate and peppermint in a soft sugar cookie that is festive, easy to make, and Paleo, too! I’m a fan! 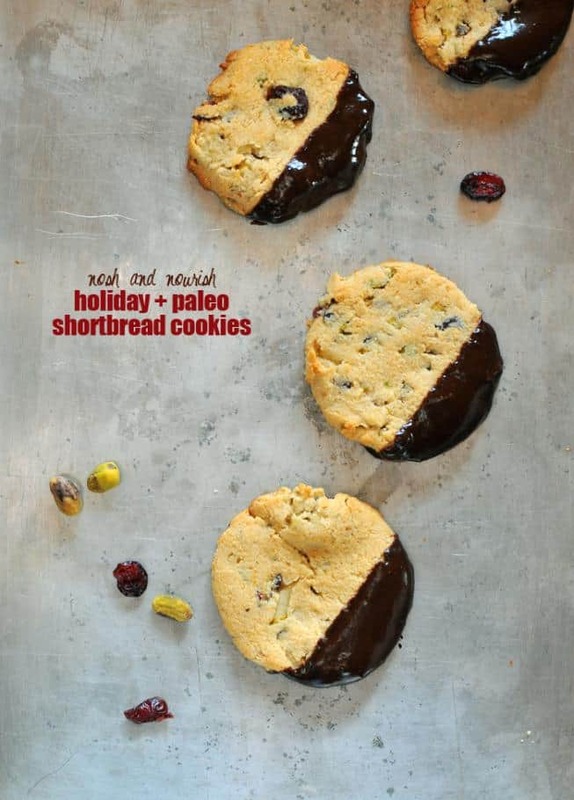 These Paleo Hot Cocoa Cookies are gluten-free, dairy-free, grain-free, and (evidently!) 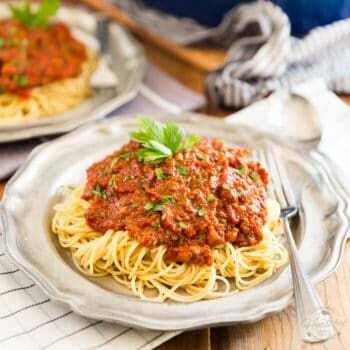 all around delicious. Ready in less than 30 minutes (really? now THAT, I like!) 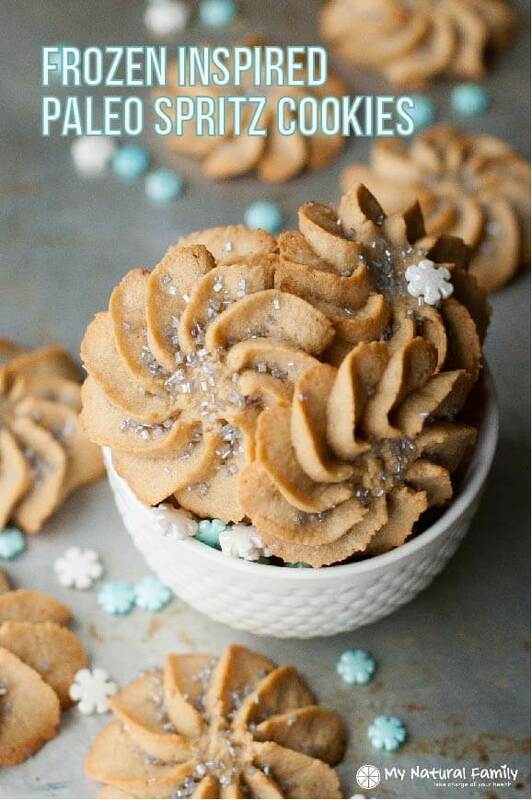 they make for the most delicious Christmas cookie there is! 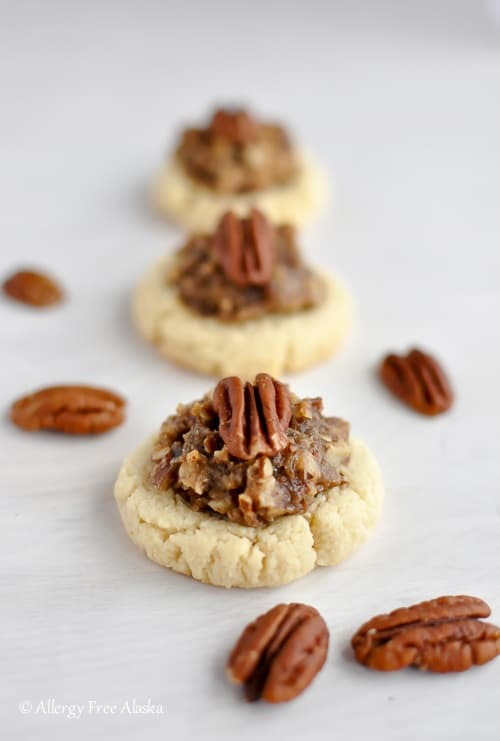 Pecan Pie + Cookie. I think that says it all. I want. I just want. 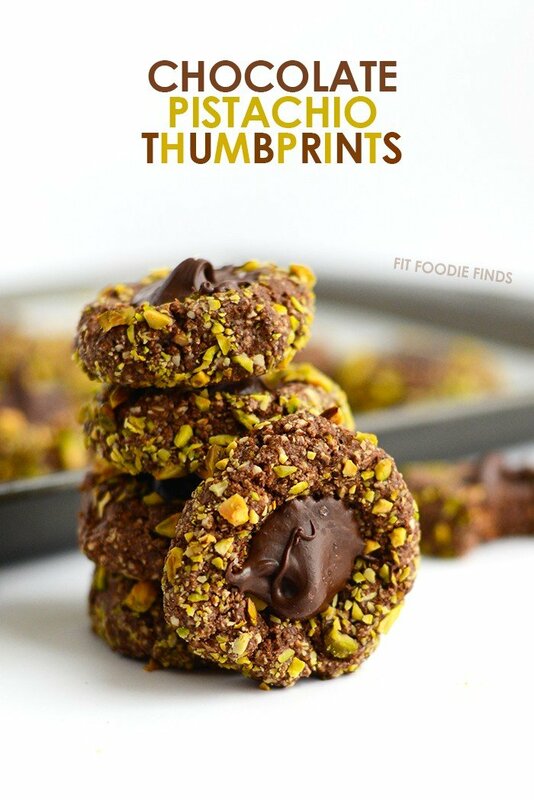 Made with wholesome ingredients and natural sweeteners these healthy thumbprint cookies also grain-free, gluten-free, dairy-free, paleo-friendly, and SUPER YUMMY! Oh, and so very festive, too! I’m sold! 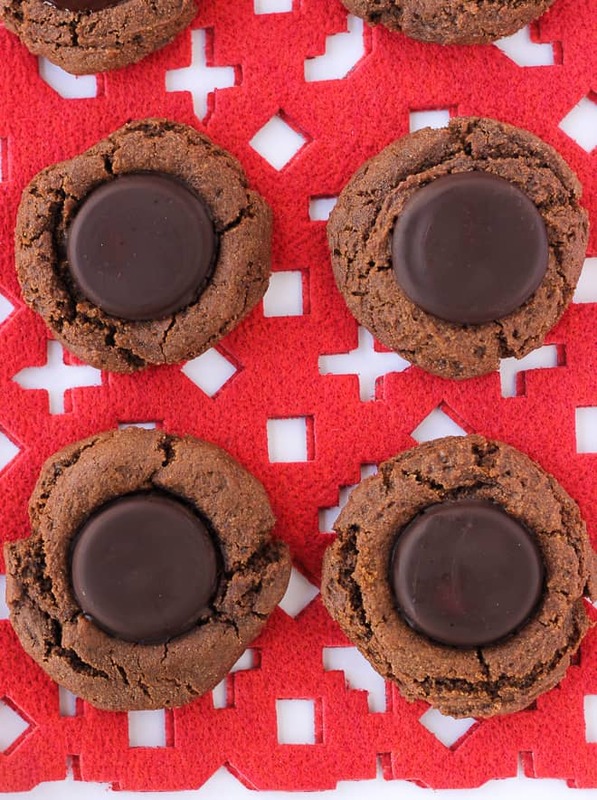 Crispy on the outside and almost brownie-like on the inside, with a chocolate mint patty that melts into the top layer so you get some of its yummy, gooeyness in every bite, everything about these says Christmas cookie! 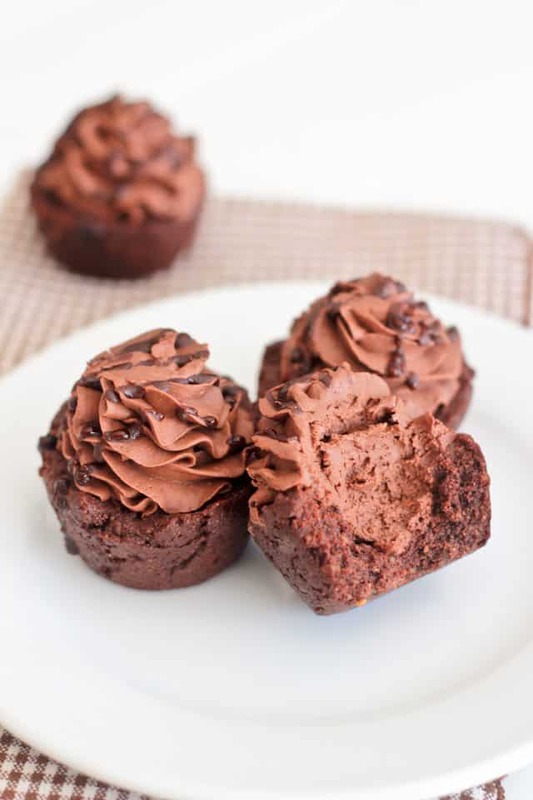 No one needs to know that they also happen to be grain and refined-sugar-free! 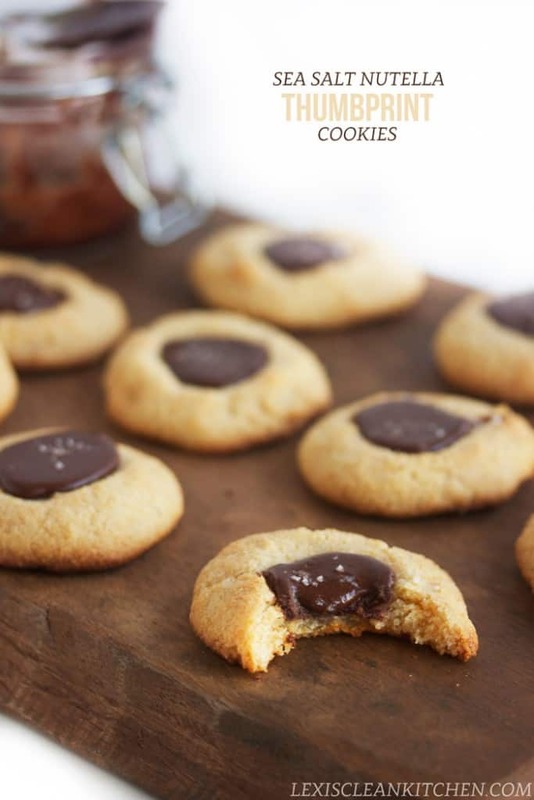 Because you need thumbprint cookies on Christmas… and Nutella! 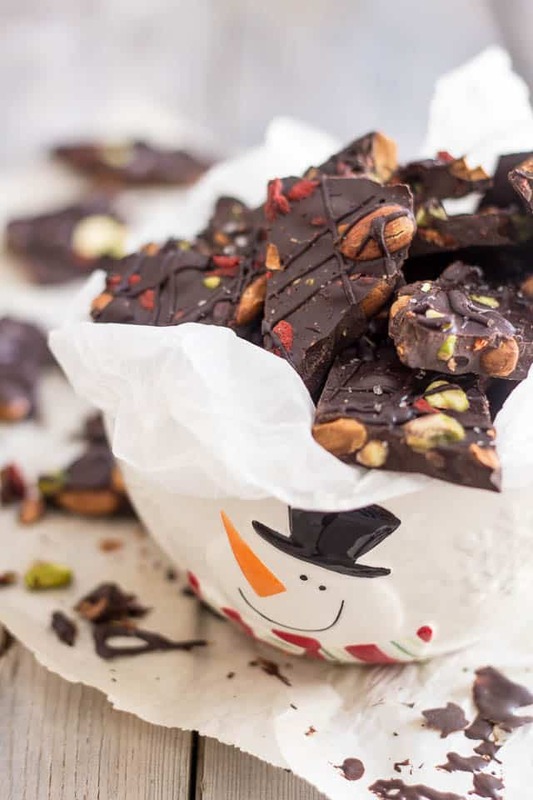 You simply can’t go wrong with Chocolate Bark… and the possibilities are so endless, too! 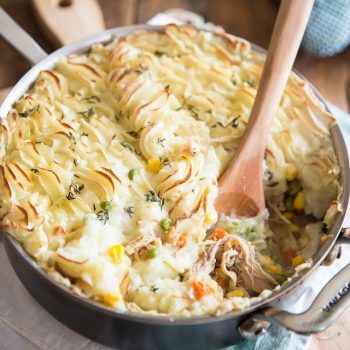 Plus, it’s so quick to make, the only question that remains is which flavor combination to choose! I have to say that this trail mix looks pretty darn delicious, and very festive to boot. I like! 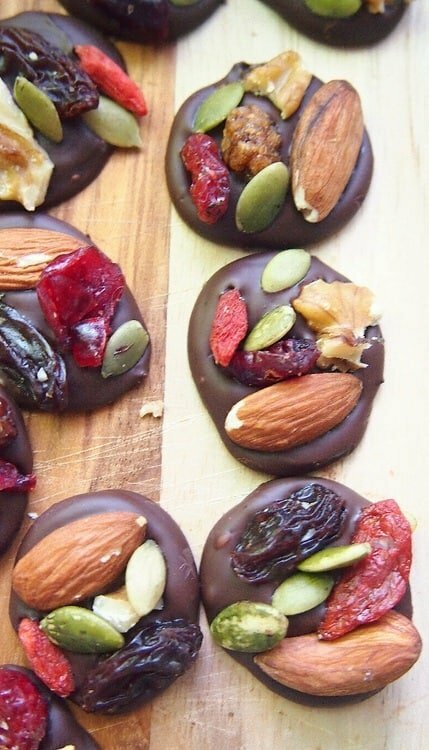 These Chocolate energy bites sure look very elegant and crazy easy to make. Total contender! I mean, look at all those goody good goodies. Me want! 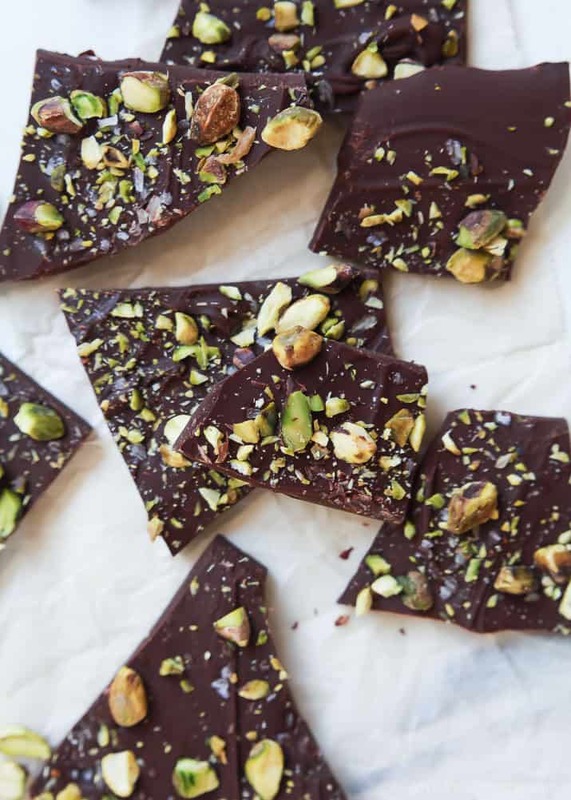 This Paleo Dark Chocolate Bark with Almonds Pistachios and Goji Berries is made from natural cacao paste, sweetened with a hint of honey and loaded with toasted almonds, pistachios and goji berries. All good things! 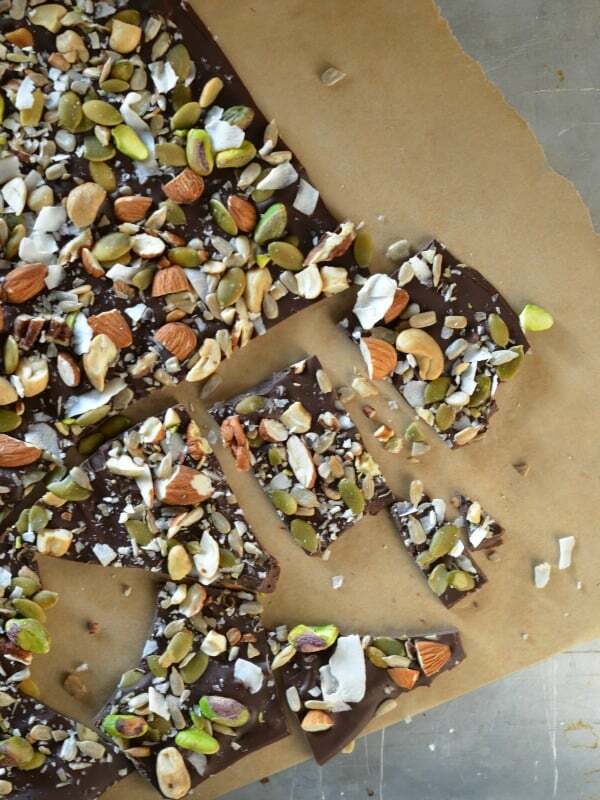 I don’t think chocolate bark could get any easier than this one… I’m pretty sure that I could fit that into my busy schedule! 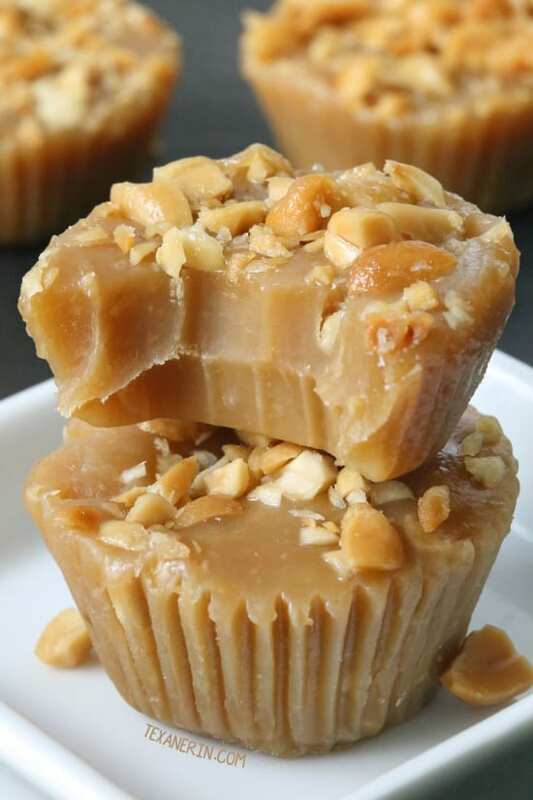 Ok, now these are a little bit more time consuming but OMG, I really wish I could find time to whip up a batch! 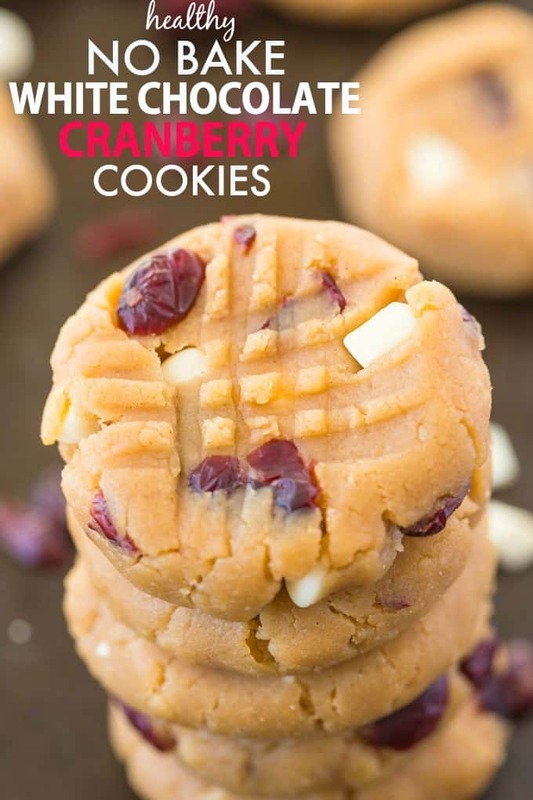 If they don’t happen on Christmas, they will definitely get made sometime in the very near future. 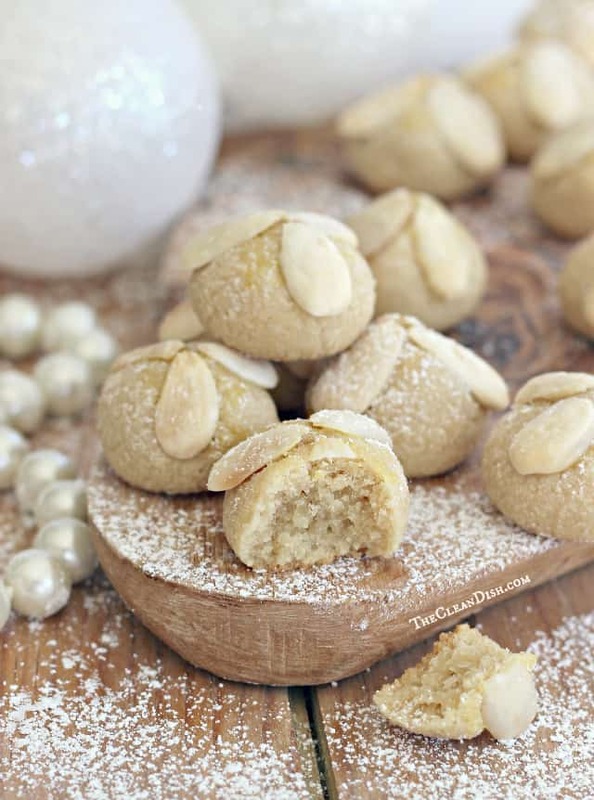 These marzipan cookies are soft, moist and lightly sweetened with maple syrup. 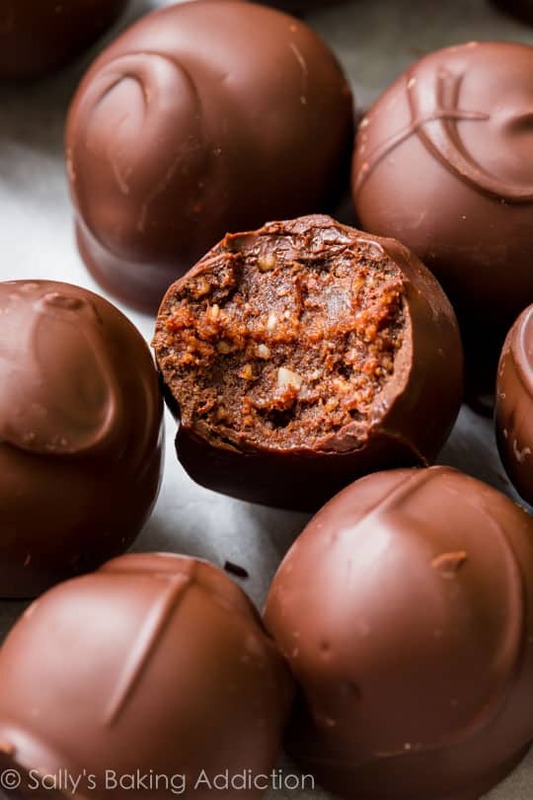 Naturally grain free, this specialty originated in Frankfurt, Germany and is usually made around Christmas time. “Bethmännchen” are particularly popular at Frankfurt’s Christmas Market. 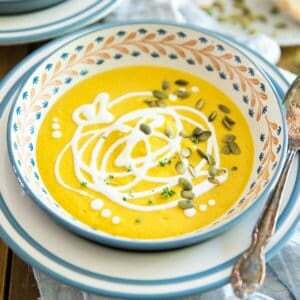 — I think they could be just as popular in my very own kitchen! One of my favorite creations ever! 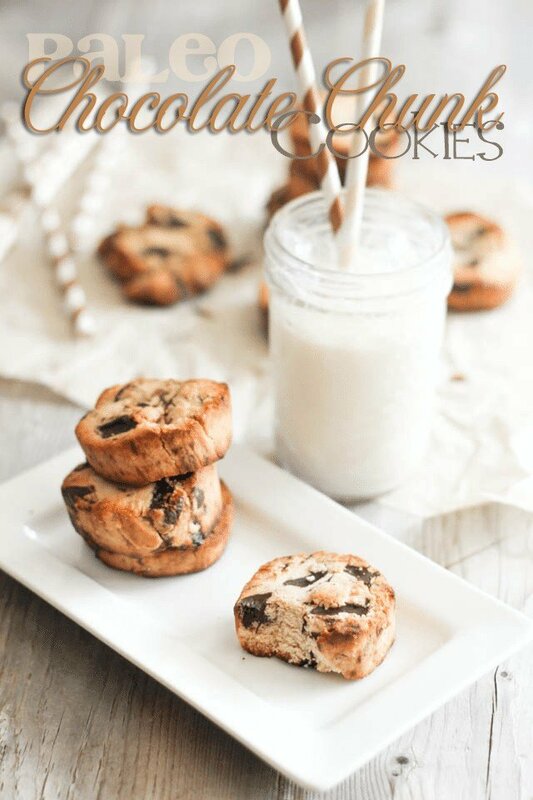 Don’t even bother telling people that these are sugar free, grain free and dairy free. They won’t believe you. Just tell them they taste amazing. That’s all they need to know! 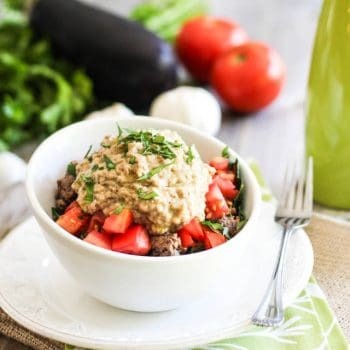 Healthy, no bake, ready in less than 10 minutes, delicious, gluten free, grain free, vegan, dairy free and packed full of fiber and protein? 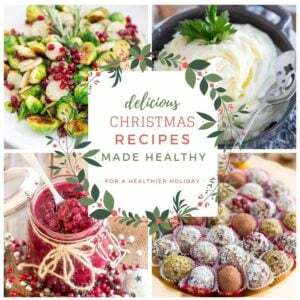 I say that’s a treat I definitely have to whip up this Christmas! I’ve only got one thing to say about this: I WANT! I think I would have to make even if it took a long time, but it doesn’t even. 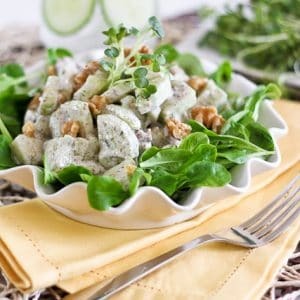 It only takes a few minutes to make and is naturally vegan, gluten-free, grain-free, and dairy-free. 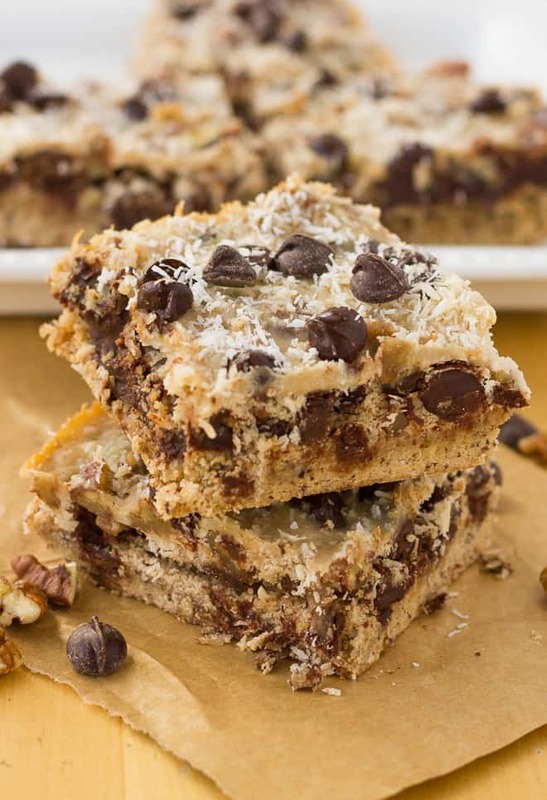 Plus, it only requires 4 ingredients. Wow am I ever sold! 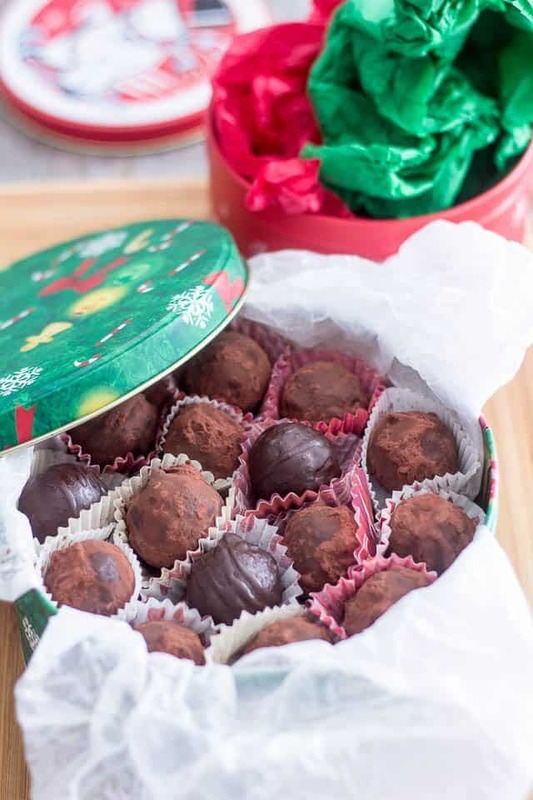 These creamy and delicious chocolate truffles are made with nothing but natural ingredients yet, they are everything as decadent as the finest of chocolates. 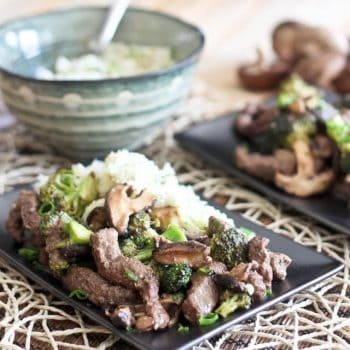 Another one of my favorites culinary creations…. 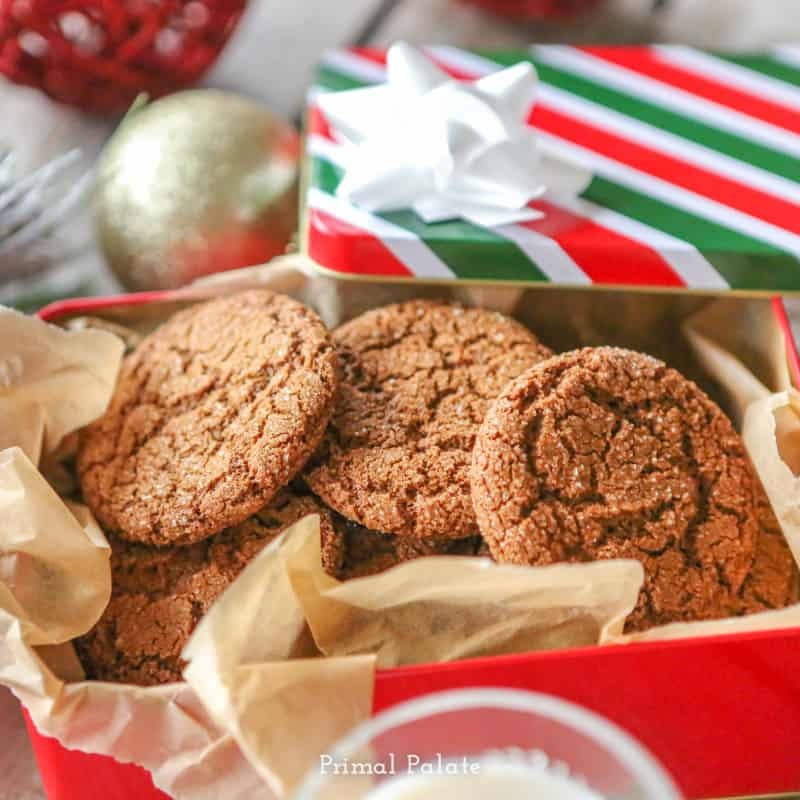 Oh my, you have so many delish cookie recipes. I want to make them all. I think I’l start with the chocolate mint one for Xmas. Thanks for sharing.